DreamVision, a cutting-edge brand of residential video products for the home theatre specialist, debuted the Yunzi+ Series, an exciting new projector line up. Yunzi+ Family, Yunzi+ 1, Yunzi+ 2 and Yunzi+ 3 are four high performance models that can accommodate many of the latest technologies available on the market such as 4K resolution (3840×2160) and advanced 3D projection technologies. The most important novelty is that the new three-chip system used on the Yunzi+ Series can now accept 3840×2160 pixels 4K signals (the Yunzi+ Family model is limited to 1920×1080). Using the latest technological innovations, DreamVision has achieved a 50,000:1 (Yunzi+ Family), 60,000:1 (Yunzi+1), 120,000:1 (Yunzi+ 2) and a breathtaking 150,000:1 native contrast ratio (Yunzi+ 3) through an improved light engine. Besides, a new Dynamic Iris function is now available on models 1, 2 and 3, which x10 the native contrast. Reaching 1300 ANSI lumens in normal mode, the Yunzi+ can now accommodate wider screens and brightness-demanding 3D technology. In addition to jaw-dropping clarity and detail, the Yunzi+ Series also deliver more accurate color reproduction within billion color graduations for lifelike realism. The 400Hz Crystal Motion ® algorithm is a new frame interpolation method which brings an immersive experience to sport, concerts, TV shows. Picture becomes dramatically realistic and three-dimensional, without motion blur or artifacts. Obviously the Yunzi+ Series are not dedicated to watching singers or footballers only. Thanks to a new very pure optical lens, the Yunzi+ Series create a new standard in dark colors rendition. When watching a movie, black is really black, with a lot more detail. Yunzi+1, 2 and 3 have been particularly engineered this way and implement DreamVision’s new True Cinema Black II ® enhancement. For the DreamVision R&D team it is important to do 3D the right way, without sacrificing the performance with regular 2D content. Therefore the DreamVision team has prepared three kinds of projector packs: the IR active 3D packs, the RF active 3D packs and the passive 3D packs. In the active 3D packs, the active-shutter glasses benefit from the latest ergonomic innovations and technologies. It adopts fast-response liquid crystal lenses to create the best image quality without ghosting wherever you sit, higher brightness, more natural colors and great durability. Weighing only 57 gr (2 oz), its ergonomic design offers optimal comfort for everyone. The benefits of the DreamVision B.E.S.T. Passive 3D packs are numerous. First of all, the passive 3D glasses are lighter (around 10g), less expensive and more comfortable. Besides, the picture quality is spectacularly improved: more brightness, more detail and more accurate colours. The spectators feel less dizziness, eyestrain and headache that can occur with active 3D solutions. 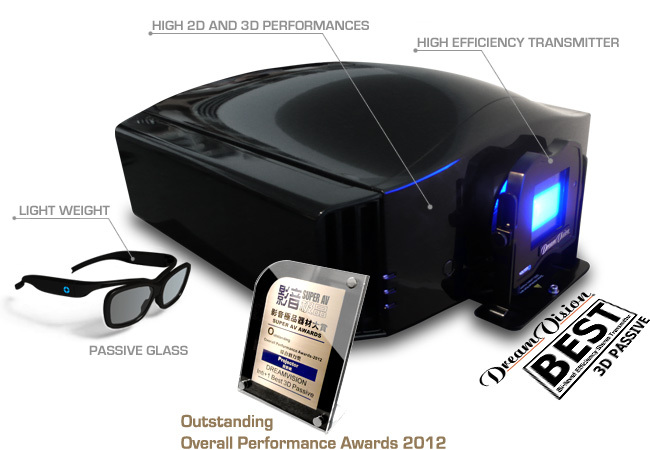 Last but not least, because it does not require stacking two projectors together, the overall budget of the DreamVision solution is much lower than with competitors’ passive 3D solutions. All in all, the DreamVision Yunzi+ projectors and their dedicated 3D Kits are definitely the best compromise on the marketplace for picture quality, brightness/colours and comfort. While the Yunzi+ is a turn-key, single-box solution, it is also available with the optional 2.35 Theatre System Kit that will accommodate the most demanding installations. By featuring a true Cinemascope projection (2.35:1 to 2.40:1 native aspect ratio), the user can simply switch between HDTV and Cinemascope with the touch of a button. CMS functions (Color Management System for colour calibration) are accessible for the advanced installers of Yunzi+1, 2 3. On Yunzi+ 2 and 3, a THX Mode and an Expert Calibration Menu (via RS232) have been added and optimized for movie watching in a dedicated dark cinema room. Color Management System for color calibration (not on Yunzi+ Family). 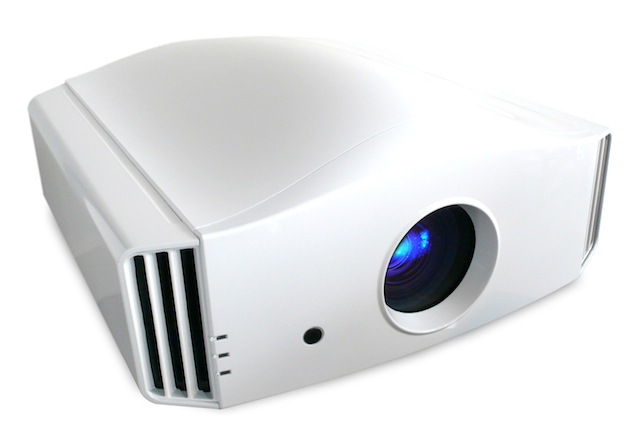 In addition to its impressive performance, the Yunzi+ projectors are also a snap to install. The input panel, concealed on the back of the projector, offers quick access to a wide array of connections. The 2X zoom, combined with a variable electronic lens aperture, allows for perfect adjustment in virtually any residential installation. With the new fully motorized professional lens, the installation becomes easier and faster. The Yunzi+ Series will accommodate almost any kind of setup thanks to the -80/+80% vertical shift and the -34/+34% horizontal shift, seconded by the crisp, high quality Keystone. The vertical and horizontal lens shift can solve most challenging configurations. The projector’s ultra-stylish chassis was created by the famed French designer, Antoine Beon, also known in home theatre for his work with DreamBee and Focal. Named after the stone pieces for the game of Go, the Yunzi+ come standard in black or white colour. A contemporary work of art, Yunzi+ is also available in a rainbow of high gloss colors to suit any fine interior. Thanks to a new airflow design, a new lamp and a better management of the power, the Yunzi+ Series are the quietest projectors by Dreamvision ever. Icing on the cake, the lamp lifetime has been increased by 30%, up to 4,000 hours, making the Yunzi+ Series more environment-friendly and economic in the long run. Improved Light Engine to achieve up to 150,000:1 native contrast (Yunzi+ 3).